If you would like to sponsor the building of "Redemption" please contact me. I have some awesome sponsors but I could always use more to accomplish my goal of having this bike built! I have suffered at the hands of narcissists for over 35 years, up until the time I disowned my mother, and went no contact with her over 10 years ago. After she died in 2015, I am now brave enough to talk about the abuse and have decided to come forward to help others who have no idea why they are being treated so badly. It's not YOUR fault and if someone could have told me this years ago I would not have suffered for so long. I want to raise awareness to the abuse that others are suffering from and to educate the public about these people who exist to terrorize people and feel they are entitled. I have been a victim of narcissism, constantly being used as a "scapegoat" and being a codependent to narcissists in the past. Through my suffering, through my pain, I have been given an opportunity to help others. After fighting my narcissistic brother for two years for my very small portion of the "inheritance", I used part of the proceeds to buy a 1937 Harley Knucklehead that I have dubbed "Redemption". From the moment I brought the bike home, GOD put the name in my head and the idea to help others. I have already gotten some big-name sponsors for this project, including Avon Tyres, Spectro Oils, and Baker Drivetrain. This project will be getting lots of media attention as I start to send the story out and update the progress on "Redemption". My relationship with countless national and international publications will not only raise awareness to narcissism but it will get sponsors featured as well. 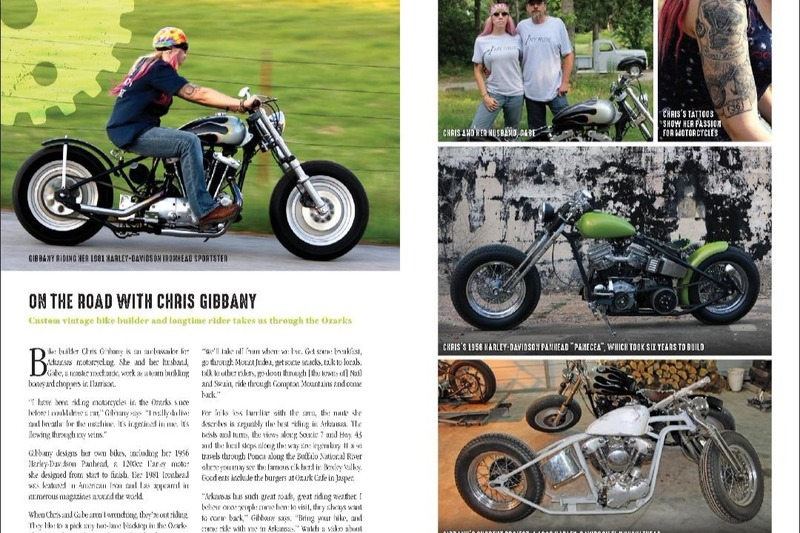 Besides the 20+ motorcycle and car magazines I am in a year, I was recently in Oprah Magazine with my 1956 Panhead (probably the first Panhead in Oprah's magazine). I am the Arkansas Representative for the Global Women Who Ride project and as a woman builder, I recently became the official Ambassador for motorcycle tourism for the entire state of Arkansas. For the last 12 years I have dedicated my life to volunteering for causes that I am passionate about. My volunteer work includes: rescuing pit bulls, starting a Camaro Club, holding officer positions in the car community, hosting/planning events in the car and motorcycle communities, writing for publications, organizing fundraisers for various charities, promoting Arkansas, and donating weekly to thrift stores, shelters and other non-profits. My articles appear in many publications and websites to empower people to live their best life. I am super passionate about spreading my love of vintage cars and motorcycles to everyone, young and old, male or female. I want to let people know that if you have your priorities straight, that you can accomplish almost anything! I live my life to the fullest, not just for myself, but also for others by constantly promoting people and products that I believe in. Living well really is the best revenge! I am accepting other sponsors who would like to donate parts to this project.